Nathan is co-chair of the Firm's Bankruptcy & Creditor Rights Group. He has extensive knowledge in many areas of business restructuring, including areas of individual and corporate debt, secured lending, liquidations, refinancings, claim litigation and commercial litigation. Nathan is distinguished among his peers as a Super Lawyer in the areas of Bankruptcy and Reorganization in the Illinois Super Lawyer publication from 2016 to 2019 after being recognized as a Rising Star from 2009 to 2015. Additionally, Nathan is recognized as a Leading Lawyer after being selected as an Emerging Lawyer since 2015 for Commercial Bankruptcy and Workout Law. 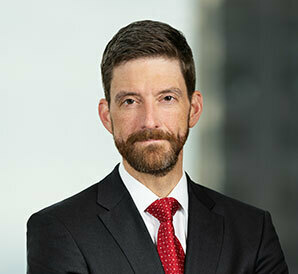 Nathan has served as co-chair of the Bankruptcy Court Liaison Committee and currently serves on the Volunteer Attorney Panel in the Northern District of Illinois. While attending the University of Illinois, he served as an Associate Editor of the University's Elder Law Journal.